It is the objective of the FMUL to stimulate the practice of scientific research early on, as it is a partner of choice for clinical activity, promoting the interrogative spirit and critical thinking capabilities inherent in good medical practice. In this regard, several initiatives are developed for students, among which Research Day, organised annually by the GAPIC and the AEFML. 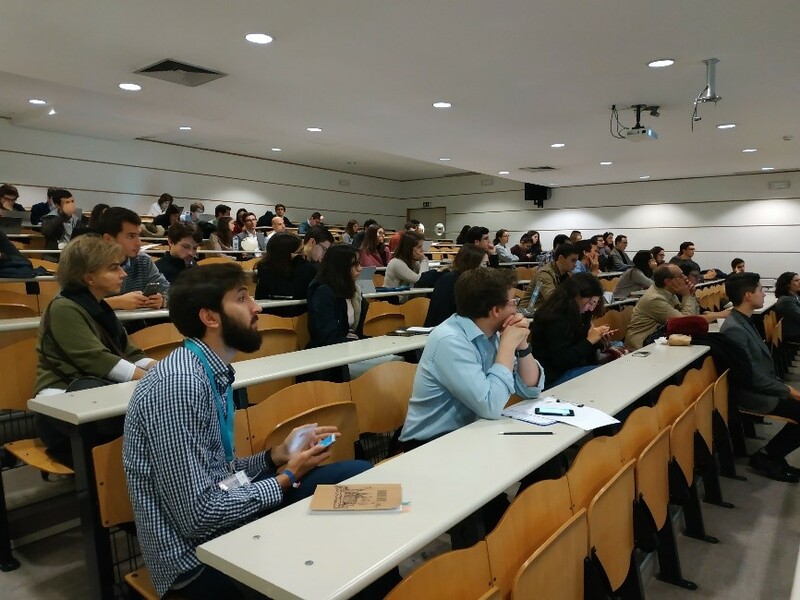 This event is a unique opportunity to get to know the opinion of the participants, particularly the students, in order to improve future initiatives. In this sense, a questionnaire survey was carried out, to which 78 participants replied, corresponding to a response rate of 69%, taking into account that there were 113 registered attendees. Opinions regarding Research Day are quite positive, overall, considering its scientific dimension. Thus, the vast majority of respondents (90%) are “Satisfied” and “Very Satisfied” with all the sessions (see chart below). Regarding the organisation and logistics of this day, responses were equally positive, as the great majority of respondents also said they were “Satisfied” or “Very Satisfied”. It is no wonder that 99% stated that the FMUL should continue to promote this initiative. 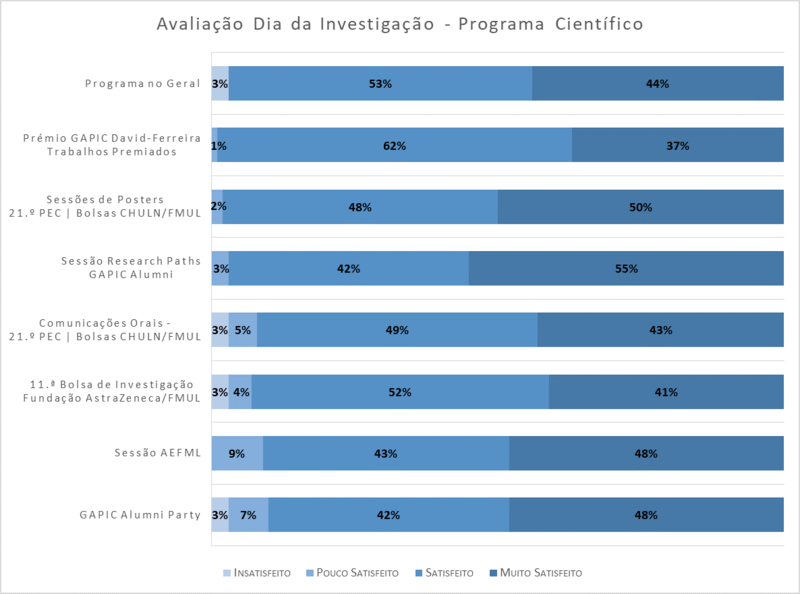 In addition to the general public, we also wanted to know the opinion of the students who attended the 21st edition of the “Education for Science” Program and who were awarded the Research Day Awards, so we asked them to share their perspective on the experience as GAPIC students and if they still had the will to develop scientific activity.